The first Art with Altitude exhibition was held at Mount Glorious in 2015 to showcase the considerable artistic talent of Mount Glorious and nearby ﻿Mount Nebo﻿. 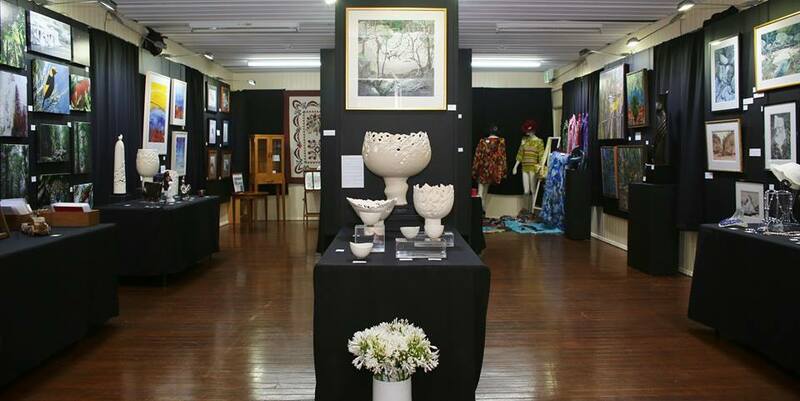 Seventeen artists exhibited a range of both 2D and 3D artworks, including acrylic and oil painting, water colour, pen & ink drawing, sculpture, jewellery, ceramics, glass work, fibre art, photography and fine furniture. In conjunction with the art exhibition, a small craft market was held and refreshments were made available to increase community involvement. The success of the initial exhibition led to it becoming a regular event on the Community Association calendar. 17th & 18th November 2018. "Art with Altitude" is a registered trade mark of the Mount Glorious Community Association. The community of Mount Glorious numbers less than 280 residents, but features a high proportion of artists. In 2008 Glorious Creators, a photographic exhibition of working artists in Mount Glorious, featured 55 artists, or about one-fifth of the community, and included clayworkers, jewellers, glass artists, painters, fabric artists, sculptors, woodworkers, writers, musicians, photographers, and architects, many with international reputations. In 2014 Moreton Bay Regional Council acquired the former Camp Constable and made the small Community Hall and its surrounds available for the use of the Mount Glorious community. With such a wealth of artistic talent within the community, it was decided to hold an art exhibition as an opening event to showcase this talent and create a focal point for the community. The 2015 exhibition was so successful that it will now be held every November as a regular event on the Mount Glorious calendar. Moreton Bay Regional Council to support local arts and culture in regional Queensland.